Too easy to bother with measurements. Too easy to bother with measurements! 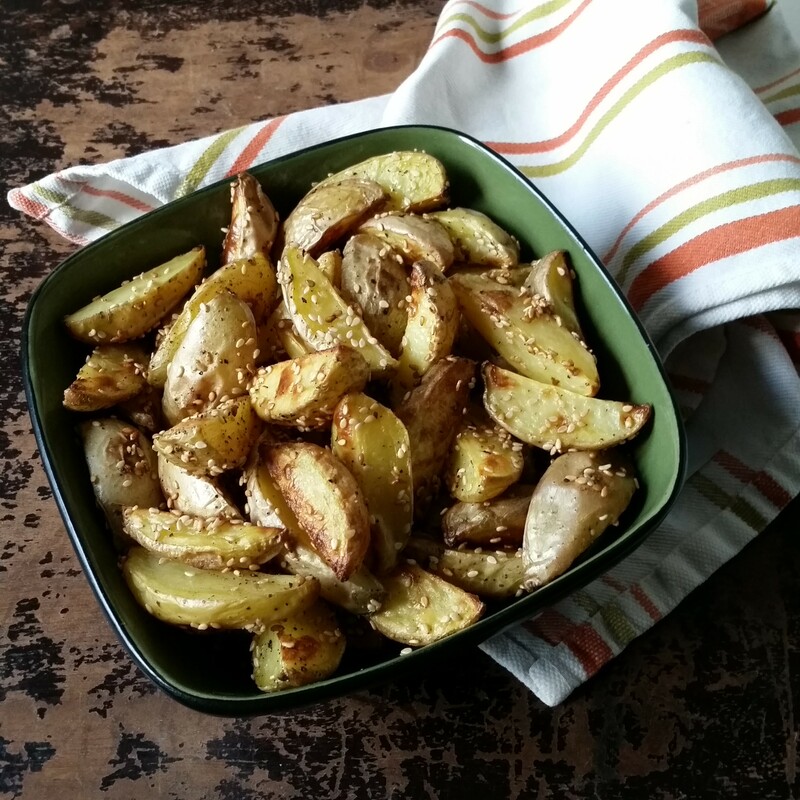 Place potato wedges in a bowl; toss in just enough olive oil to coat. Shake on sesame seeds, salt, and pepper (and garlic powder, if desired) to taste. 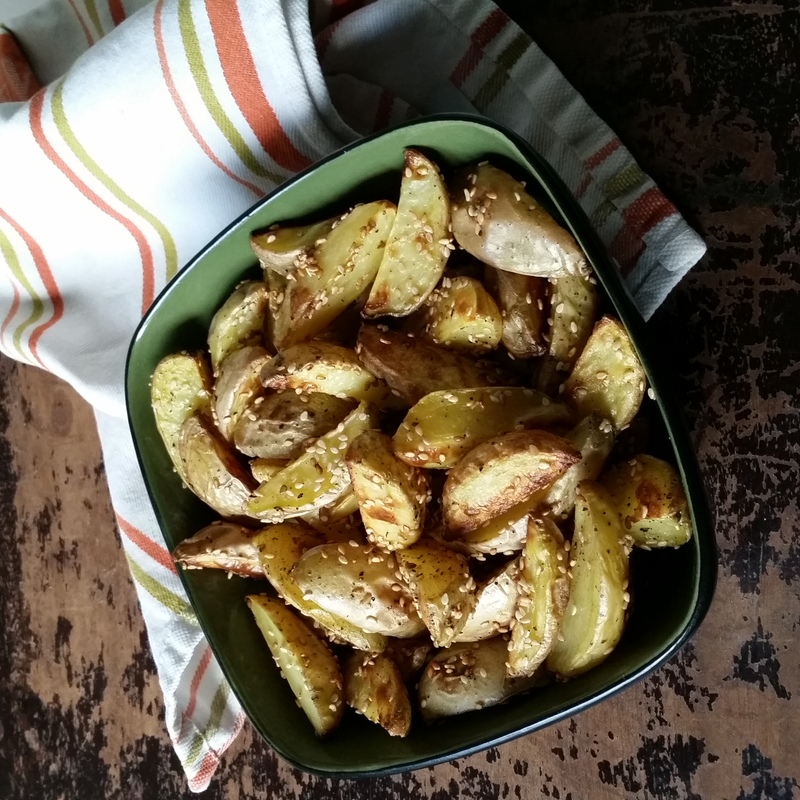 Lay a sheet of parchment paper on a baking pan.Transfer the potatoes to the lined baking pan and spread out into one layer (do not overlap wedges).